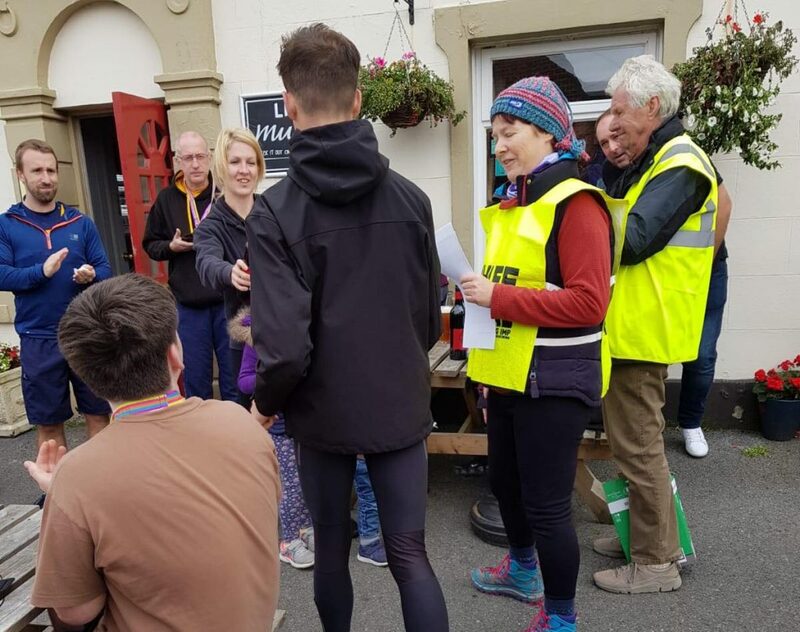 Just under a hundred runners taking on this local 10k race on a not so easy course which was ultimately won by Jon Cleaver in a time of 33.55.38. Jacob Watson came 2nd on the day – just three seconds further back – in a time of 33.58.87 with Ben Costello in 3rd place clocking 34.49.91. These were good performances by both Jacob and Ben in what for Jacob was only his fourth race of the year and second race since March, whilst Ben has only been able to race three times since July because of injury. After the Race Jacob reflected on his race saying “As one of the tougher races over the 10k distance, I decided to treat this event as a good hard run rather than look for a specific time. I started at a steady pace, tucking behind Calum Holmes from Clayton Harriers who was in 3rd at that point. After finding my legs on the gradual climb up Todmorden road, I managed to stick behind Ben Costello and Jon Cleaver (Barlick). I had to work hard to stick with Jon on the downhill towards the first big climb, but managed to get a reasonable gap going up Mount Lane. The gap, it would seem was not far enough, as he managed to catch up during mile 4. The next 2 miles were two of the toughest I’ve ever had to complete in a 10k and Jon really ran my legs off. It was a real race towards the last 200m until he managed to outkick me and put a vital 3 seconds between us. Jon took the course record that day and I managed to sneak in under 34 minutes so I’m pleased with that. Ben had a really good run for 3rd, putting in a time which would have won him the race on most years. A good run out and one I’ll probably be doing next year”. One thousand four hundred and nineteen finishers in this Race won by Chris Livesey in 33.38. 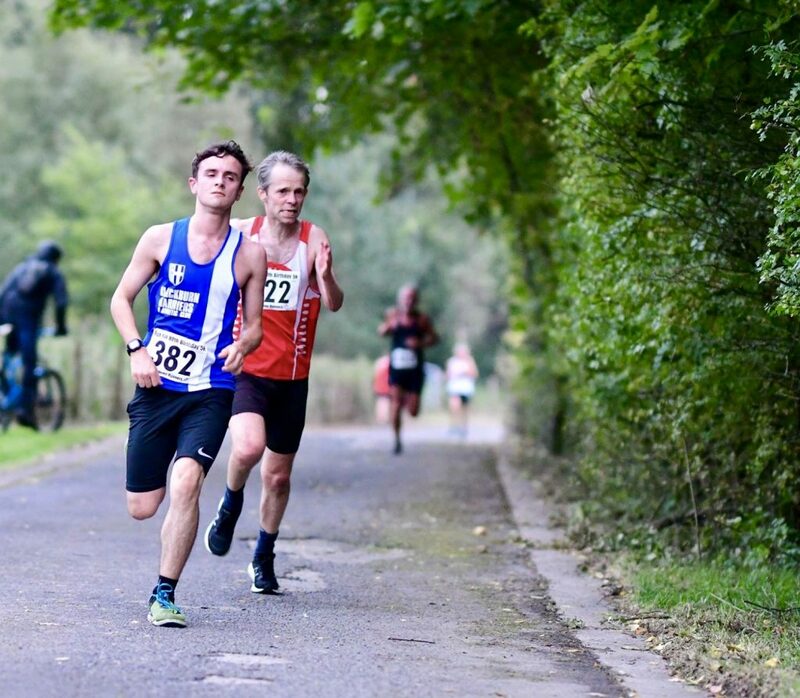 Joe Gebbie (U20) was running just his third ever 10k race – the first in 2016 clocking 38.04, his second in 2017 with a time of 39.09 and today he chopped a whole two minutes off his previous best by finishing fourth overall in a new PB time of 36.06. 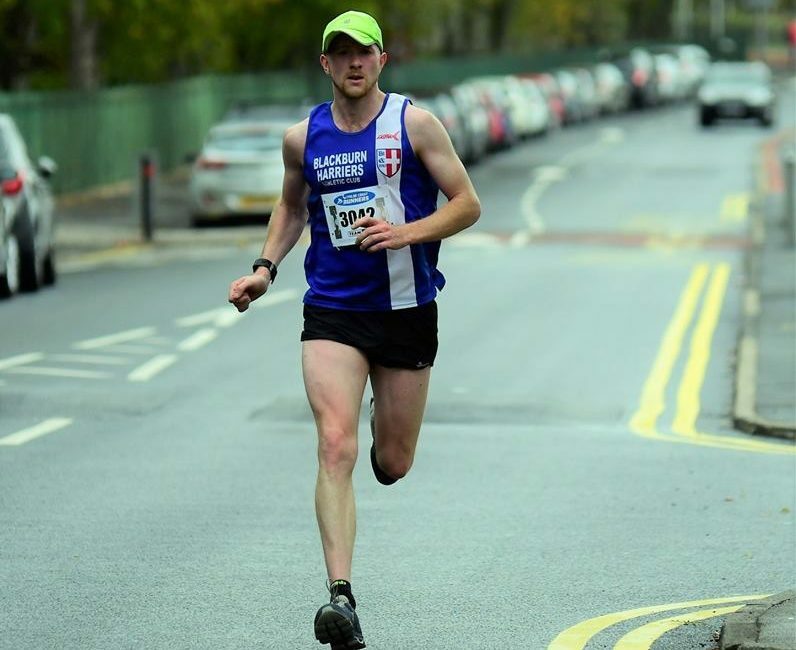 Joe was “really chuffed with my time” and spoke to the Club afterwards about his race commenting that he had “not done a 10k race since November last year so was great way to return to the distance and wipe over two minutes off my previous best. Felt good throughout and certainly feel like there’s scope to shave more time off. A good way to start the transition to XC after a successful track season”. 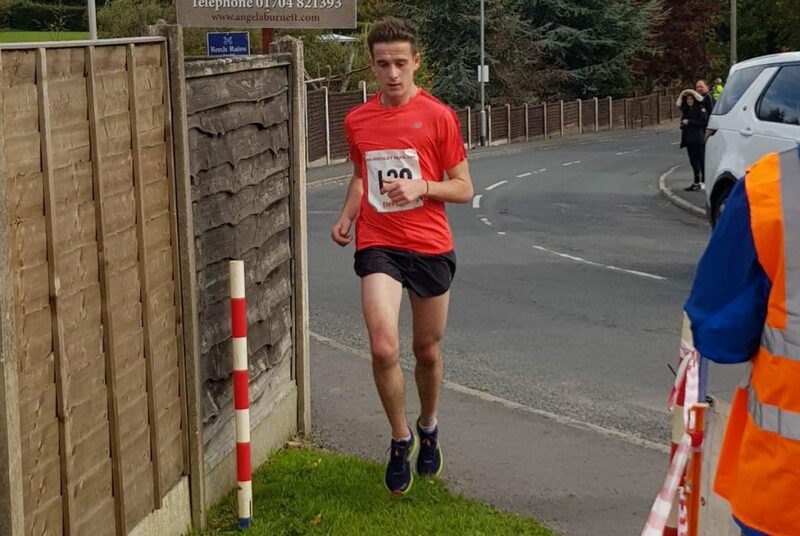 Danny Collinge ran his debut race for Blackburn Harriers today and started off in fine style by winning this race in a time of 36.30, nearly half a minute in front of the second placed runner. Danny told the Harriers that he had “used this race as training really! I took it as a training run and tried to run the kilometre splits all the same. 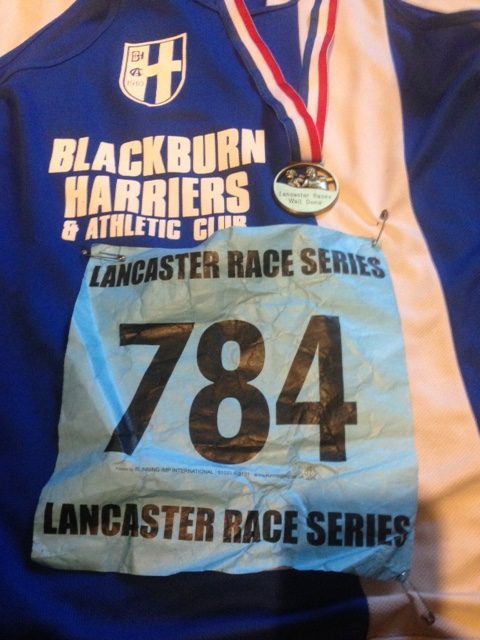 It was a good route and a well organised event and I would recommend to anybody wanting a low key 10k race”. 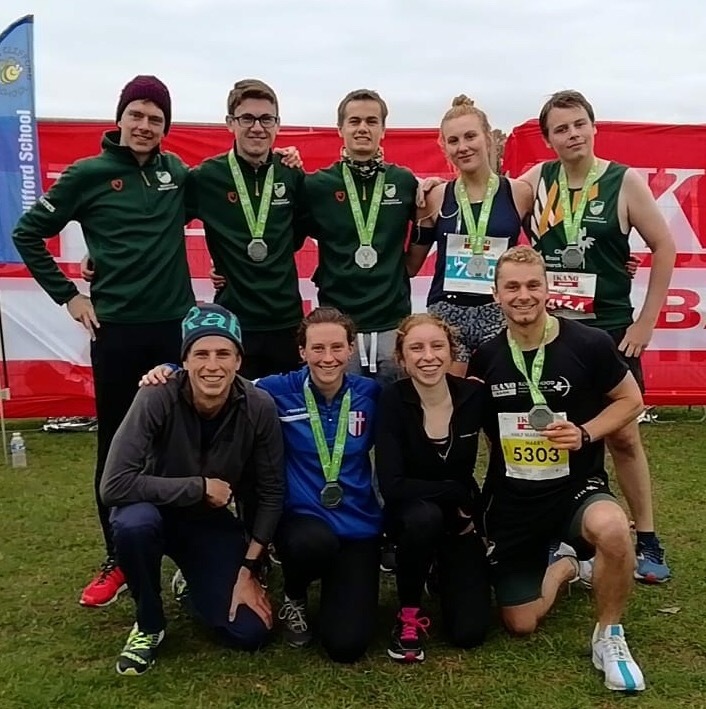 Katie Buckingham’s longest ever road race has been over 10k before she tackled the Robin Hood Half-Marathon at the weekend. 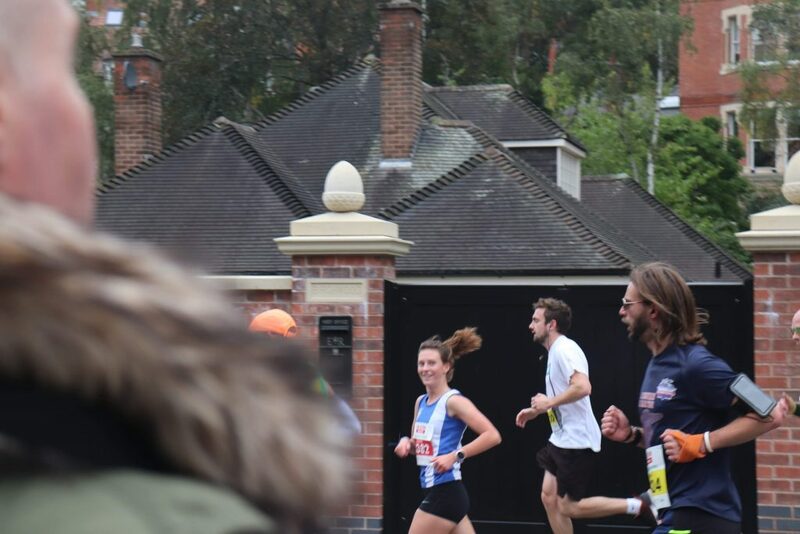 Being troubled by a lengthy lay off due to an injury in her build up didn’t help matters but in the end, her determination shone through and won out as she came home in 221st position out of some 9000 runners and in a very good half-marathon debut time of 90.11. 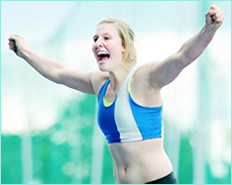 A delighted Katie spoke to the Club afterwards about her debut over the distance commenting “Ran 1.30.11 chip time, so very happy as the goal was sub 1.34!! Really enjoyed it all, I was probably beaming the whole way enjoying the crowd and being back on the Notts roads, just struggled in the last 3k or so, but that was to be expected having not done the distance before”. 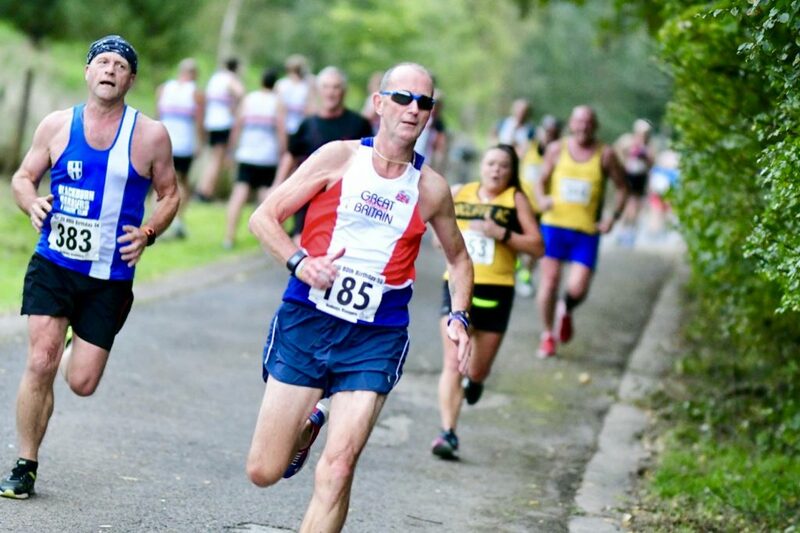 V40 Paul Jeffries ran the last one in the Series of the Pilling 10k Road Races and was really intent on setting a new personal best, which he did by finishing 19th overall out of a field of 120 finishers and setting a new PB of 40.51. 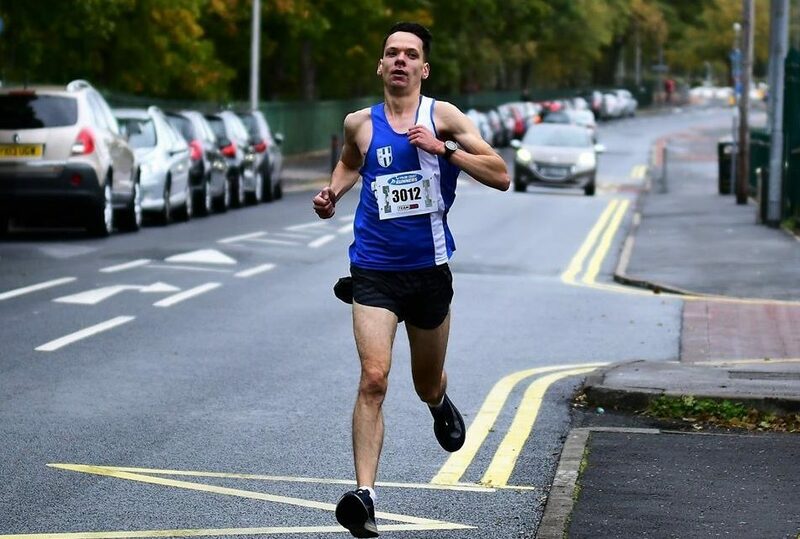 In September 2017 Paul ran a time of 48.48 at the Preston 10k and a year later he has cut a whopping 8 minutes off that time which is a fantastic improvement. 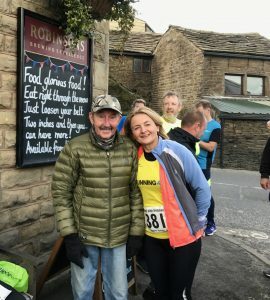 Three hundred and forty two runners turned out at this race to honour one of the great champions of British endurance running – Ron Hill – winner of both the European and Commonwealth Marathon Championships. 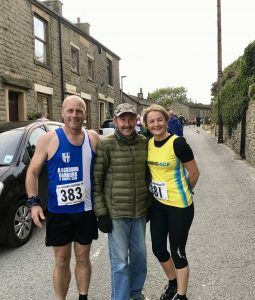 The Wilkin family from Blackburn Harriers all ran with U17 Harry the first home in 44th place with a time of 19.22 with his dad Mark (138th) in 24.10 and mum Clare coming home in a time of 29.32 (260th). 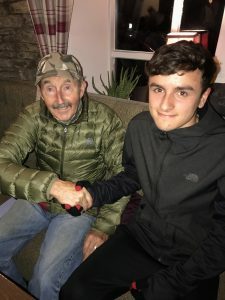 U15 Matt Heywood finished his Throws season off with an appreance in Wrexham, contesting the Throwathon which featured four throws culminating in a competition total of points. Matt had a very good day winning the Shot Putt with a distance of 9.50m and a new PB by 21cm; came 2nd in the Hammer with a throw of 46.08m just 32 cms outside his personal best; was 4th in the Discus with 26.34m and 7th in the Javelin throwing 26.23m. These results added up to one thousand nine hundred and fifty one points which gave him the 2nd place overall on the day. 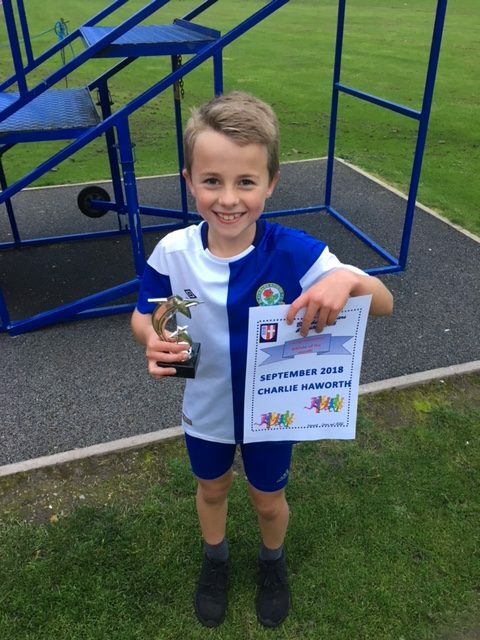 We missed posting the Junior Endurance Athlete of the Month for August which was won by Alexander Brien and he was followed by Charlie Haworth who won it for the month of September. 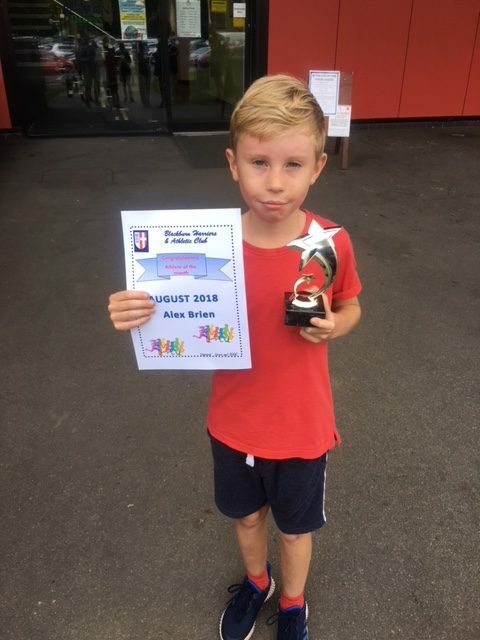 This Award is given to a young athlete who has shown good attendance at training, good attitdude and work ethic, listens to all instructions from Coaches Lorna Sharp and Nikki Hartley, mixes in well with all the other children and welcomes new comers to the group. Congratulations to both of them.